LARGO FOODS, THE company which manufactures Tayto crisps, was fined €2,000 after a HSE prosecution last month. The fine, levied at a hearing in December, related to a contravention of the EC regulation 178/2002, which covers food safety. The company also had €2,300 in costs awarded against it. The fine related to an incident last May, when gluten-free crisps were sold containing gluten. The company pleaded guilty to the charge. TheJournal.ie has contacted Largo Foods for comment. The HSE also pursued a successful prosecution against The Palace nightclub in Navan under regulations around the hygiene of foodstuffs. On top of that, four restaurants were served with closure orders, two under the FSAI Act and two under the EC (Official Control of Foodstuffs) Regulations. Commenting on the annual figures, Dr Pamela Byrne, Chief Executive, FSAI stressed the serious nature of a food business being served an enforcement order. “Enforcements and most especially closure orders and prohibition orders are never served for minor food safety breaches. They are served on food businesses only when a serious risk to consumer health has been identified or where there are a number of ongoing breaches of food legislation and that largely tends to relate to serious and grave hygiene or other operational issues. There is no excuse for careless food safety practices. 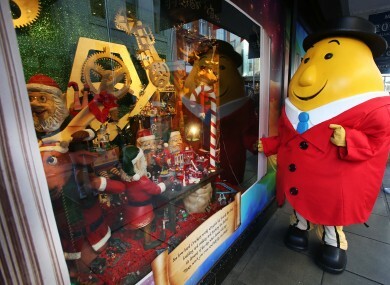 Email “Tayto manufacturer fined €2,000 under food safety laws”. Feedback on “Tayto manufacturer fined €2,000 under food safety laws”.